all night tonight, through Thursday, and most of the morning Friday. We do not want to try to enter the harbor in the dark, so we will heave to until the sun comes up. Heaving to means setting the sails in a way that the boat barely moves. throw this in the water if someone falls over so that we can see where they are. So that the top of the pole does not bend, my dad created a PVC pipe to lash on to the shroud (the metal rope by the pole). This involved climbing up the mast, so I got ready to go. 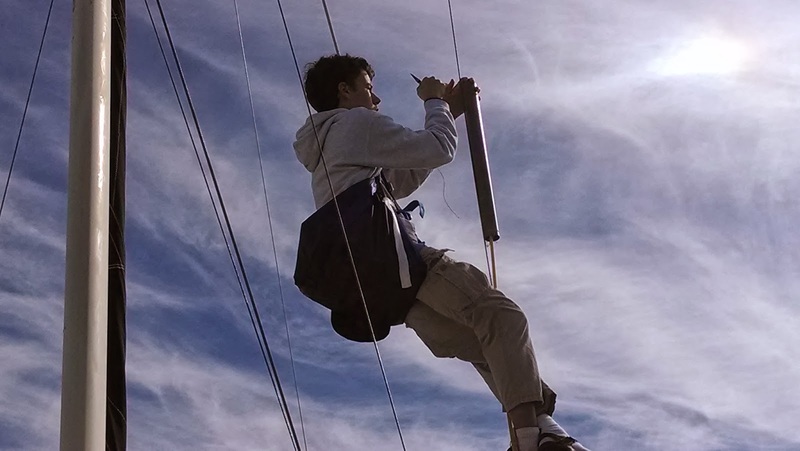 With the harness on, I was lifted up the mizzen mast and got to work. It took a while, but worked well. Next, I fixed the tape on the end of the spreader (the piece that sticks out horizontally from the mast). A job well done, I was lowered down. 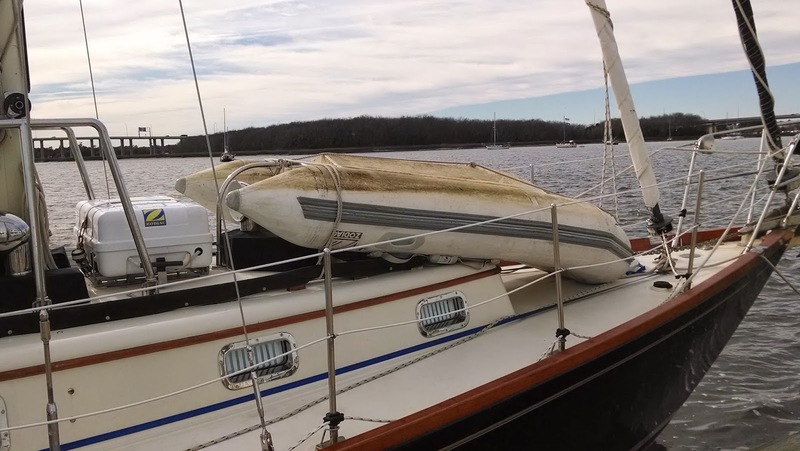 To get the dinghy on deck, we attached the spinnaker halyard to the eye-ring on the bottom, and cranked away. It lifted right up, with some effort, and we put it on the foredeck. We're about to leave now, and I'm sure I'll have some more to post tomorrow. 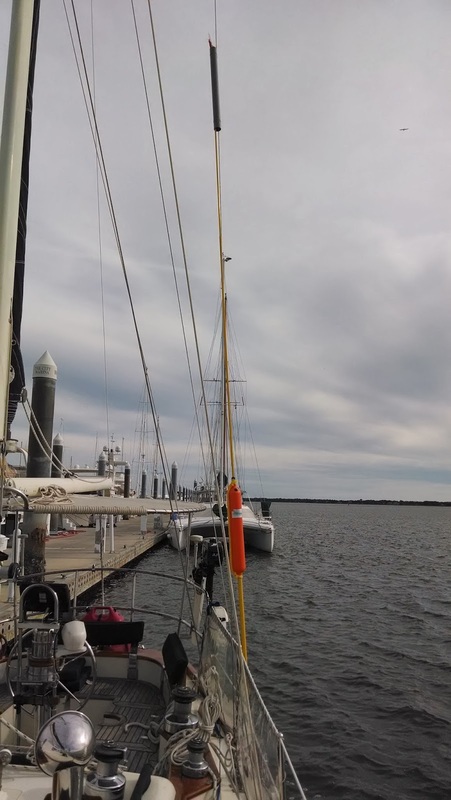 If you want to read about my other mast climbing experience, go here.